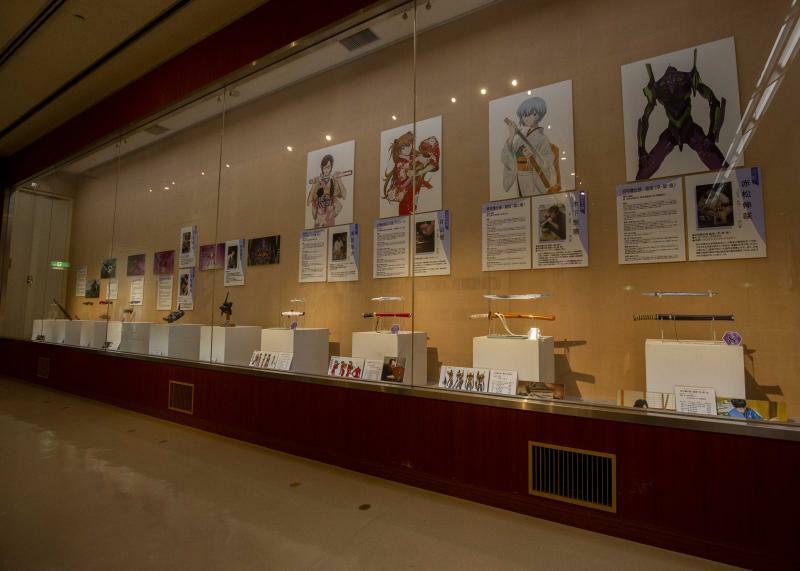 This long-running, traveling exhibition has about 20 unique blades created by sword-makers around Japan inspired by one of the most popular anime franchises of all time, Neon Genesis Evangelion. Whether you’re a fan of the show or not visiting the exhibition is a chance to see swords created purely as art, whether they be traditional in style or visually entertaining impractical blades brought to three-dimensional life by experts. These aren’t props or mock ups, but real steel. Showing the depth of overlap between anime fans and sword-makers, most of the swords and sheaths were created in ways to reflect character’s personalities with every detail giving meaning to create rather involved and symbolic art. Even if it symbolizes a giant purple bio-mechanical fighting robot that may or may not possess the (SPOILER REDACTED). This goes from broad strokes like matching color palettes of characters and sheaths to shaping a blade using techniques reminiscent of the Kamakura period (1185-1333) to represent violent, earth-shattering events from the show because that fit the emotion felt by the creator upon viewing. I guess swordsmiths experience things differently than I do. Evangelion is known for making fighting robot stories existential and angsty (it was the 90s), philosophical and it looked cool while making no sense in the end. So creating Evangelion blades with layers of symbolism and indecipherable meaning really fits. Thankfully it’s all laid out in the accompanying descriptions by the craftsman with each piece allowing visitors to appreciate what they aimed for, though with or without reading, it all looks pretty cool. Except for the titles, the text is Japanese only but with a translator app I easily followed along. For Japanese-speaking fans there’s also an audioguide recorded by the ever energetic and cheerful Misato for 500 yen. 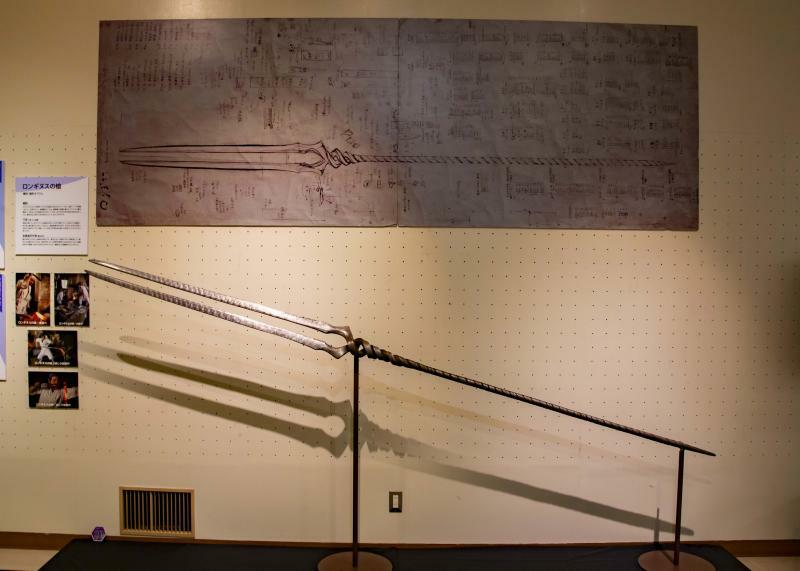 As well as the art blades, there are exact human-sized recreations of screen blades from the sci-fi progressive knives to the brutish and massive Spear of Longinus, which has an accompanying video showing how it was forged into existence. Besides its entertainment factor, the exhibition is educational as there are videos and a corner on the history of Japanese sword-making with a walk though of the tedious process. Sword-making isn’t a repetitious action, it’s a string of repetitious actions requiring physical strength and patience before a beautiful end-product emerges from the labor. The 14 minute video felt twice as long for that, but I was left with a greater deal of respect for the smith’s trade and the people who pursue it. Balancing out the sword side, there’s a corner on Evangelion and wall of production art and early character designs. I’d not seen the later before so it’s interesting to see what was originally intended compared to the finished product. Word of advice, when entering the exhibition hall the crowd naturally gets pulled to the shiny blades to the left instead of following the correct path past the man-sized EVA 01 robot on the right. If you go left, after passing the last Eva sword display case look to your left. There’s a hidden alcove with life-sized Asuka and Rei statues set up for visitors to take photos with. If you’re not looking for it you’re going to miss it as the path curves right. Besides these two there are plentiful character stand ups on both floors and in the museum entranceway for pictures. The gift shop has the standard assortment of exhibit exclusives like file folders and the like as well as Evangelion and Bizen Osafune Sword Museum, which collaborated on the exhibition, products. If you’re looking for an Eva scale model this is a great place to pick one up. They also do name tags; I got one and had it engraved with my name in Japanese. The Evangelion and Japanese Swords Exhibition will run until May 12. 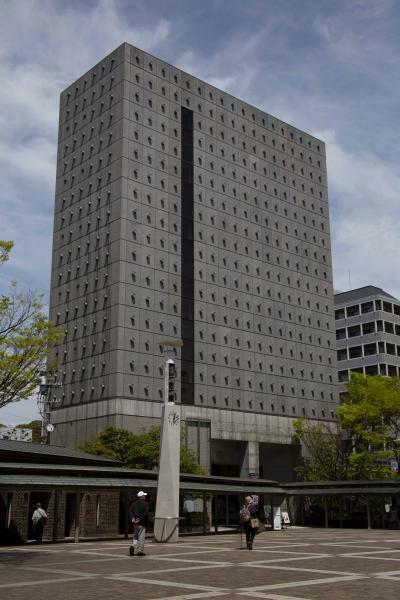 Admission is 1,000 yen.